iCarePro - Blog: The Logistical Issues of Providing Comprehensive Homecare for seniors! The Logistical Issues of Providing Comprehensive Homecare for seniors! 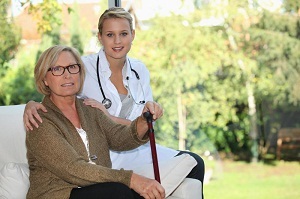 Home care services are fast becoming an important part of elder care for American families. American seniors are in a unique position; they are suffering from after effects of isolation and an advancing age that leads to physical and mental impairments. But at the same time, moving to specialized care institutions for seniors isn’t always the best option for many of them. It is no secret that many Americans seniors would rather live at their family home, simply because it is considered a safe and comfortable space. At-home care is a good solution for seniors living at home, in need of help living, cleaning, cooking and even occasional company etc. We also provide home care services for seniors, including personal care, dressing, feeding, bathing and preventing physical and psychological issues caused by isolation in old age. However, home health organizations like ours need to gain economies of scale in order to serve the nation’s home care needs for seniors. In order to provide for the growing needs, battle turnover and shortage of workers, while also providing affordable and reliable home care services, we are willing to work with some of the latest IT solutions to ensure better communication and resource management for all stakeholders. Here at iCarePros, we offer all our clients the opportunity to get the best of our home care services, using the Intelligent Communication Management Platform, powered by Rappora. This helps us ensure enhanced operational and societal benefits for home care for the elderly. It has also lead to improved planning, and more comprehensive reporting of home care activities, with improved recognition of the care needs of recipients. Enhanced IT based solutions by Rappora have enabled us to provide family members, caregivers, and our office care team to participate in care. Our state-of-the-art customer communication platform can be used anytime, anywhere with WiFi access. It enables direct communication between all parties, allowing each to give and receive regular updates, leading to an exceptional home care experience for elders. The Intelligent Communication Management Platform by Rappora has worked wonders for the quality of care provided. We now ensure reduced time and costs associated with coordinating care, empowering our care providers and teams. And it is 100% HIPAA compliant. If you’d like to learn more about the platform, or our affordable home care for seniors, get in touch with us today. Thanks for sharing the detailed information of homecare for seniors. Pear Tree Home Care is one of the Top Senior Home Care Provider who is passionate in doing their work. Home care services are generally provided to kids and senior citizens. Get the Residential Home software for Children from Lindi IMS which is the software which is designed for the home care services.